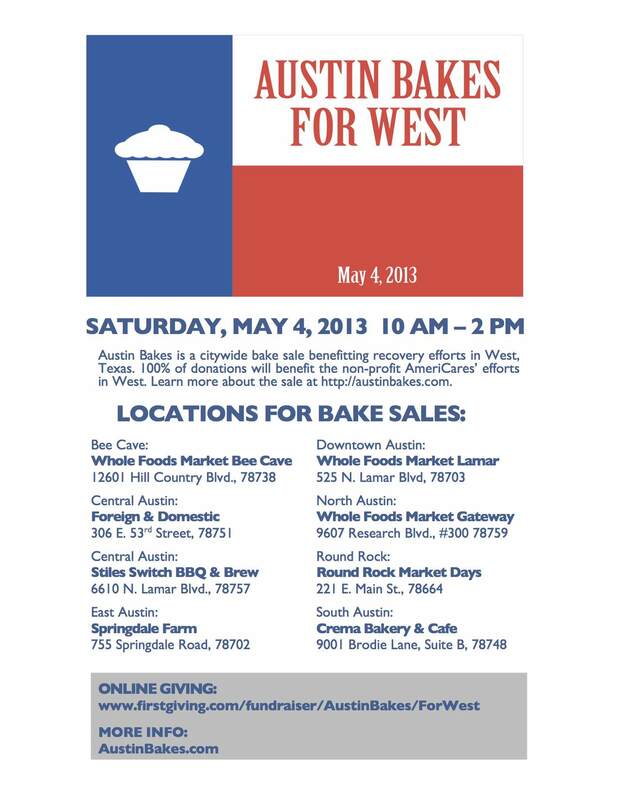 Start Spreading the News: #AustinBakes for #WestTX is this Saturday! It’s been a big week at Austin Bakes headquarters. Our list of potential volunteers has grown to nearly 200 people, and several additional business supporters signed up today to help the people of West. We are still in need of bakers, signs and other supplies for the sales, and volunteers at selected sites. If you’d like to help, please sign up here and we’ll send you more info. 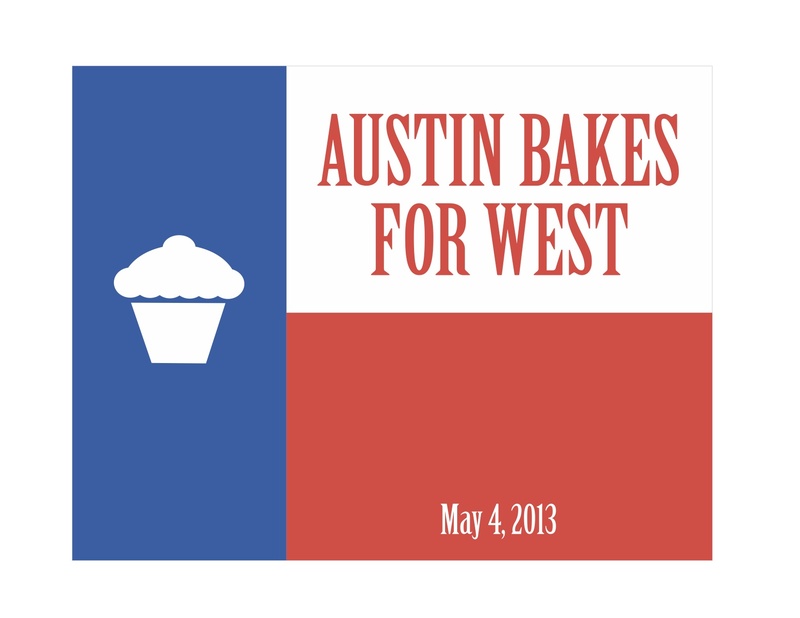 Volunteers like Catherine and Rachel sent information about Austin Bakes to organizations with weekly email newsletters. Think neighborhood associations, community groups, and other organizations! Site leader Heather printed some flyers and got permission to post them at businesses near the bake sale sites. Site leader Lisa designed a poster for the bake sale. 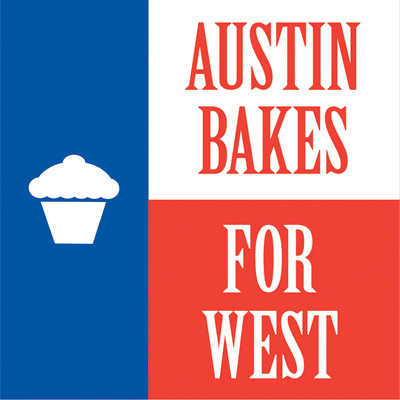 Site leaders Sara and Michelle have changed their Facebook profile pictures to the Austin Bakes for West logo. In the caption of the Facebook photo, they included information about their sale site + a link to Austinbakes.com. Thank you for helping to spread the word about Austin Bakes! Your tweets, Facebook posts, emails, and smiling faces are the most powerful tools we have to build momentum for the sale on Saturday! This entry was posted in Austin Bakes for West, Blog, News about the sale, Past Sales and tagged Austin Texas, Austinbakes.com, bakesale by Kathryn. Bookmark the permalink.